9:57 a.m. Steamboat Springs Police Department officers responded to a reported hit-and-run crash at the intersection of Lincoln Avenue and Third Street. 10:15 a.m. Officers responded to a complaint involving an animal at a residence in the 1300 block of Walton Creek Road. 11:43 a.m. Officers responded to a reported theft that occurred at a hotel in the 1000 block of Walton Creek Road. 11:48 a.m. Officers were called to a report of criminal mischief in the 900 block of Lincoln Avenue. 12:05 p.m. Officers responded to a reported hit-and-run crash at the intersection of Oak and Tenth streets. 12:56 p.m. Officers and Routt County Sheriff’s Office deputies responded to a disturbance at the intersection of Lincoln Avenue and 13th Street. 1:39 p.m. Officers responded to a report of a fight that broke out near the intersection of Central Park Drive and Twilight Lane. 2:12 p.m. Deputies were called to assist someone in emotional distress in the 56000 block of Old Sawmill Lane in Clark. 2:30 p.m. Officers responded to a report of a missing person originating from a residence in the 2500 block of Evergreen Lane. 2:36 p.m. Deputies responded to a complaint involving an animal at the intersection of Routt County Road 14 and Yellow Jacket Drive in Oak Creek. 3:15 p.m. West Routt Fire Protection District firefighters responded to a structure fire at the intersection of Routt County roads 76 and 80. 4:54 p.m. Deputies responded to a report of shots fired near the intersection of Colorado Highway 131 and C.R. 14 in Oak Creek. 5:52 p.m. Officers responded to a reported shoplifting incident at a business in the 800 block of Lincoln Avenue. 3:31 p.m. Officers responded to a suspicious incident reported at a residence in the 2900 block of West Acres Drive. 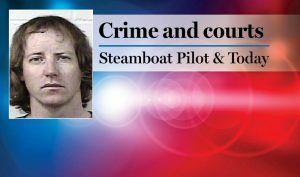 Steamboat Police Department had 29 cases that included calls for service and officer-initiated incidents such as traffic stops. 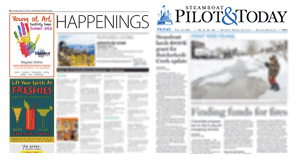 Steamboat Springs Fire Rescue responded to six calls for service. 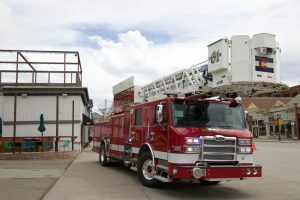 West Routt Fire Protection District responded to one call for service. Oak Creek Fire Protection District responded to one call for service.